Since the introduction of smartphones, more specifically the introduction of the iPhone in 2007, what people think of when they think of a classroom has changed drastically. A classroom used to be seen as students sitting in rows of wooden desks, looking up at their teacher. Now, while the former is still true, those students are not looking at their teachers; they’re looking at their phones. 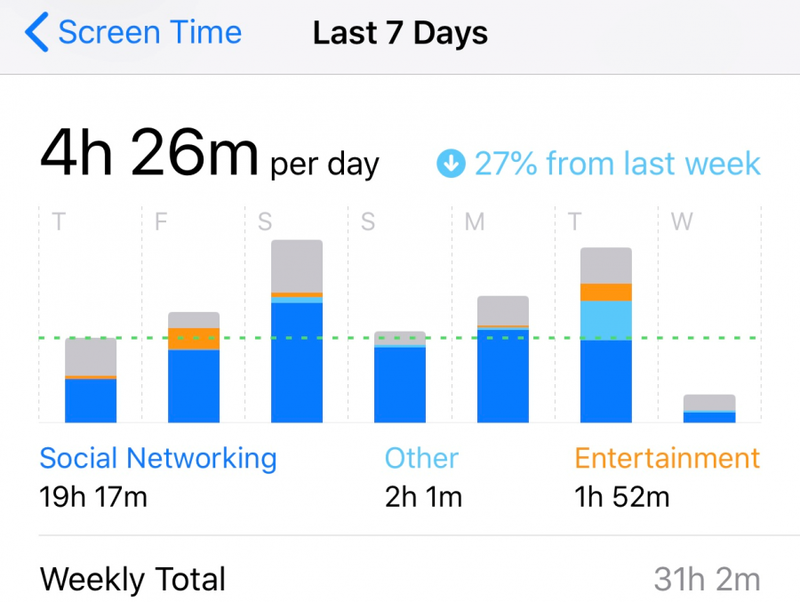 A student’s average time on their phone per week. Notice the 27% decrease from the week prior. Data collected from an anonymous student. According to a December 2017 survey, 94% of students want to be able to use their cell phones in class without punishment. This survey also found that 75% of students believe that using those phones in class would improve their ability to learn and retain information. These students stated that they use their phones to answer questions in class and take pictures of notes from slideshows. Adversely, phones can be a great distraction to students in classrooms. The aforementioned survey found that 54% of students use their phones to text their friends while in class. 59% of students also use their phones in class to check social media. These statistics wave multiple red flags about this issue, as it means that a majority of students do not use class time effectively. 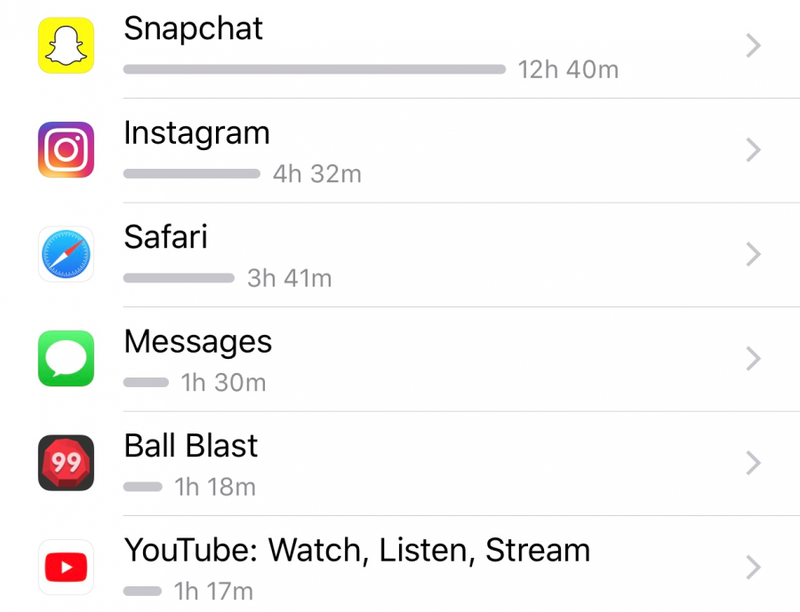 An excess amount of time on social media causes is often the main culprit in phone over-usage. Data collected from an anonymous student. Teachers are also having trouble with phones in classrooms. Some teachers view technology as a whole as the problem and have decided to ban it in classrooms or actively avoid using classroom tech. Here at Klein Cain, the school’s Science Department recently banned phone usage of any kind in all science classrooms as a means to combat distractions. Being caught using one will result in it being taken up and potentially turned into the front office with a $15 fine.